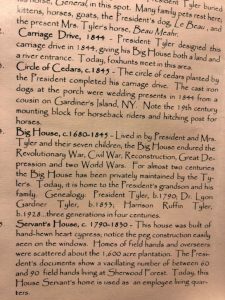 Today’s topic is… John Tyler’s House. Or alternatively, memory and history. ‘Cause they’re all kind of jumbled together for me right now. I live in the Commonwealth of Virginia, the Cradle of Presidents, the Old Dominion, Britain’s first colony (if you don’t count Ireland and Newfoundland). The Virginia House of Delegates, née House of Burgesses, is 400 years old this year, first gathering at Jamestowne, less than two miles from where my Little Pink Body is currently sitting. And Virginia was also the first English settlement to accept the institution of slavery within its boundaries. It’s a sadly ironic moment in history that the same year the oldest parliament in the Western Hemisphere was founded—1619—was the year the first enslaved Africans were brought to Virginia. And it was this institution of slavery that produced the mountains of sweet tobacco that made Virginia a very wealthy place indeed. That slavery was the dominant feature of the Virginia’s economy and culture, you need look no farther than the demographic record. In 1775, the year the American Revolution began, the population of the capital city of Virginia, Williamsburg (seven miles from where I am sitting), was 52% enslaved persons. It was the issue of slavery—the Peculiar Institution of Virginia and her sister southern states—that produced the most disagreement and demanded the most compromise at the Constitutional Convention in 1788. The Framers punted on slavery, convinced (almost certainly correctly) that there would be no chance at a United States unless they did so. As a result, the United States Constitution will forever bear the ignominy of incorporating the Three-Fifths Compromise, even long after it was struck out after the Civil War. Often in Virginia, one can hear, “It was about states’ rights!” This is correct—but that sentence contains an ellipsis. Allow me to parse: It was about a state’s “right” [to legalize the enslavement of other humans]. See how that works? 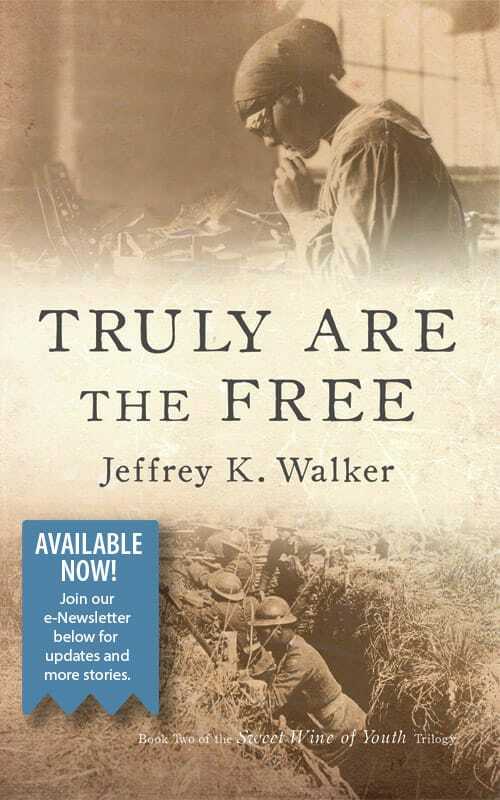 The whole states’ rights canard is a product of the post-Civil War methodical rewickering of this rather sordid history as an enabler for the Jim Crow system in the former Confederate states. 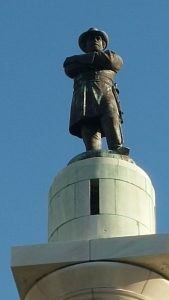 The whole manufactured mythos of the Lost Cause made everything seem so genteel and honorable—papering over the literal treason of Robert E. Lee and Jefferson Davis and their ilk.This sleight-of-hand lent sanction to Naming Many Things after them and Erecting Many Statues of them. Even the federal government—you know, the UNION government—got in on this act. There are currently, for example, ten US Army bases named after Confederate soldiers, as well as a handful of Navy ships. And every Army National Guard unit in the old Confederacy is required to display Confederate battle streamers on their unit colors. Need I mention that Fort Benning in Georgia is named after the above-quoted Henry Benning? Growing up in Skeeterville, an unremarkable burg in the middle of the Most Union State of Illinois—you know, like it says on the license plates? 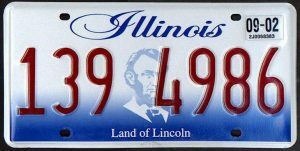 Land of Lincoln?—I wasn’t much aware of all this Lost Cause nonsense. As far as any genealogically-inclined relations can determine, there’s never been a slave owner in either side of the family. Shoot, my great-great grandaddy, an illiterate Irish immigrant, fought with the 75th Illinois Volunteer Infantry and marched across Georgia with Sherman. That’s how Union blue my family is. It wasn’t until I got to college in New Orleans—in the deepest of the Deep South—that I encountered any of this Confederate folderol. My most salient recollection was being mightily ticked off because the Ku Klux Klan had a regular habit of rallying at the statue of Robert E. Lee in Lee Circle, around which the street cars ran connecting my campus uptown and the Many Locations for Weekend Day Drinking downtown in the French Quarter. This necessitated our dismounting and walking more than a mile to the first of these watering holes. Most inconvenient. That statute met its very appropriate and long overdue end just two years ago, thanks to then-Mayor Mitch Landrieu. So I guess it should have come as no surprise when Kay-Kay and I visited John Tyler’s House. Being one of the eight Virginia Presidents, there’s a whole highway named after him. This runs from Williamsburg to Richmond, right along the James River and connects all the old original James River tobacco plantations. These morphed into grain-growing establishments by the 19th century, since tobacco is really, really hard on the soil. Tyler was sort of an accidental president, having been vice-president to the rather quickly expiring William Henry Harrison, who happened to be Tyler’s neighbor. And he carried the truly hilarious nickname Tippecanoe. When Harrison died like 15 minutes—OK, 31 days—after being sworn in, it wasn’t obvious to everyone that the Vice-President automatically became President due to the somewhat obtuse wording of Art II, Section 1, Clause 6 of the Constitution. Because people actually read the Constitution back then. Well, let’s just say it wasn’t obvious to everyone but John Tyler, who immediately had himself sworn in. This led Henry Clay, also born in Virginia, to remark that Tyler was a “Robin Hood,” a veritable “bandit” of the Presidency. Or the Whig party, I forget which. Demonstrating that he was not without a sense of humor, Tyler promptly renamed his James River plantation “Sherwood Forest.” Heh, heh. Now Sherwood Forest is still in the Tyler family. In fact, John Tyler’s grandson (!!!) still lives in it. 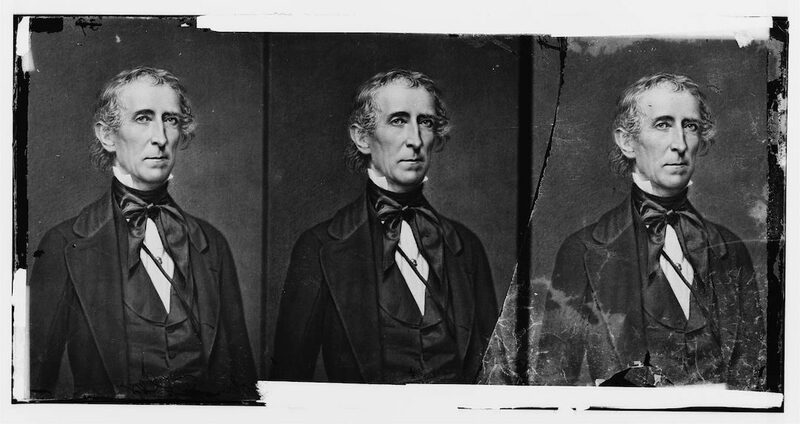 This astonishingly close connection to a Distant American Past is because John Tyler sired a son when he was 70 and said son then sired a son, in 1928, at age 75. So both funny and fertile, those Tyler men. As a result, the house isn’t open to the public but the grounds are. These feature a lot of intact historical buildings, some with bits and bobs dating to the 1600s. You can—for a small fee of $10, on the honor system—do a self-guided walking tour of the grounds. You stuff your money in a little slotted box and take a folded brochure, then have at it. Kay-Kay and I did this not long ago. Disregarding the prodigious amount of poison ivy on the paths and Kay-Kay’s extreme allergy thereto, it’s a pleasant enough place to kill an hour or two. But then something strange happened. I’m a history geek, so I actually read the rather plain one-color brochure. Didn’t take long to get through it, which is good since I ended up reading it three or four times. 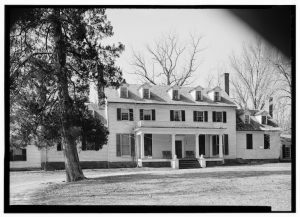 You see, nowhere in 2,500-odd words did the Tyler family use the word “slave.” At the time of “His Accidency” President Tyler’s occupancy of Sherwood Forest, it spanned 1,600 acres and had northwards of 110 people residing upon it—of which at least 70 were enslaved black persons. I mean, we don’t even have to argue over that fact. 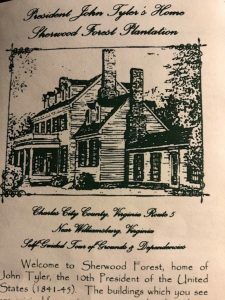 I turned to Kay-Kay after reading through the brochure and said, “Ummm, it doesn’t say ‘slave’ anywhere in this thing.” Kay-Kay, having come up along a famous leg of the Underground Railroad in western New York, said, “Oh come on! You just missed it.” So I stood still and read it carefully again, front to back. Nope, no “slaves” anywhere. Instead, the grandsons (there are actually TWO still alive!!!) of John Tyler adopt the Very Creepy Euphemisms “field hands” and “household servants.” Makes it sound kind of like Downtown Abbey or Mar-a-Lago, doesn’t it? Even the permanent signs outside the various outbuildings use these terms. Kay-Kay and I were chortling out loud at this balderdash as we read the signs aloud. Oh! And the Civil War is the “War Between the States” in this curious brochure—which is classic Lost Cause/Jim Crow-speak, too. This was, I suspect, chosen to soften the factual blow that ol’ Grandaddy John, 10th President of the UNITED States, also presided over the Virginia Secession Convention in 1861. Yeah, that. So this got me to thinking. 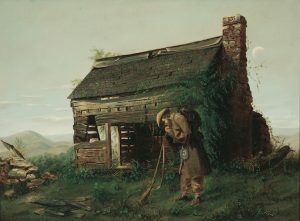 If an old Virginia family still goes to such lengths, ties themselves in such pretzely verbal knots to obfuscate their noted ancestor’s owning of slaves and betrayal of the country he once led, is it really any surprise we’re currently in the throes of yet more revisionist history? And equally, is it any surprise that the issue of race, never far below the surface in American society, has flared so furiously… again? 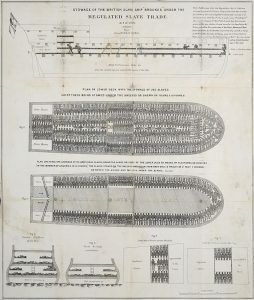 You have made me think hard again about slavery that was supppsedly banned in the 1860s and segregation that wasn’t banned until the 1960s and the difficulties even today. Your blog really makes one think which is a good thing. Thank you. Yeah, it was really a shock at John Tyler’s house. We couldn’t believe the family so obviously contorted the language in their materials to avoid saying “slaves” or “enslaved persons.” I would even have been OK with something contextual like, “As was accepted and widespread practice at the time, Sherwood Forest was worked with the labor of enslaved persons.” But the “household servants” and “field hands” nonsense really gagged me.